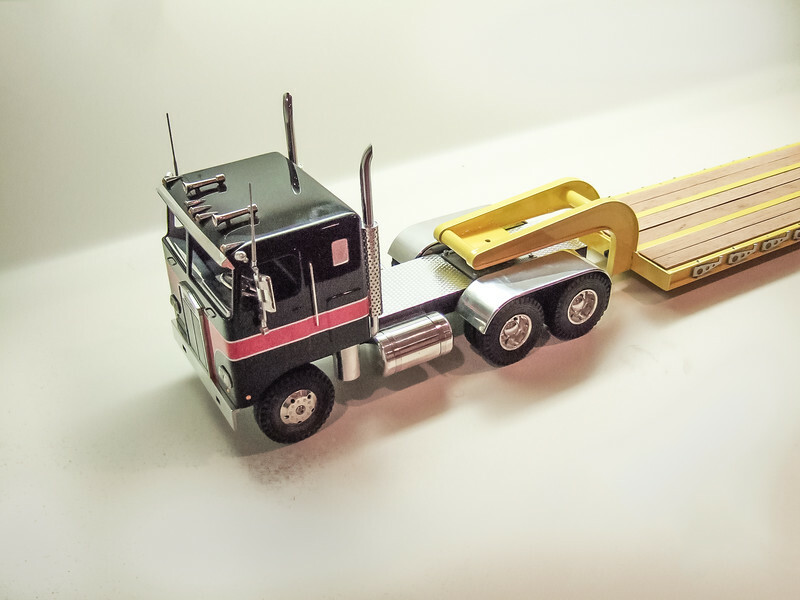 I hope you like my model trucks and trailers. I'd like to build a custom truck or trailer for you. This website contains items that are currently in my inventory, custom items that have been sold and vintage toys for inspiration. I don't build many duplicates but if you see something you like, and it's not currently available, I can build it for you. You can select each accessory and color scheme you want. If you have a company logo, corporate colors or simply want a replica of your own truck, I can accomodate your needs. I can get started on your truck with a down payment and you can pay the remaining amount due at the time of completion. There are no extra charges for this payment plan. Although most of what you see here is my own work, some of the trucks and trailers on this web site are part of my collection and were created by other craftsmen I admire. These items may be for sale or for reference when ordering your custom piece. I will try to give all due credit on the photos for those made by others. If you get lost just click on the "Toys and Other " banner to return to this page. I also encourage you to visit our good friend Hank at his website Hankstruckpictures.com for which we have furnished a link on the left. I look forward to working with you on a custom project of your choosing.